The Van F. Belknap Co, also known as Belknap Tools, has the classic American manufacturing success story. Founded in 1936 by Mr. Van F. Belknap, the primary focus of business was tool and die making. Mr. Belknap was a close family friend of the Ford family, and was often called upon to help the Ford Motor Company with many tasks, ranging from simple tool and die work, to research and development of certain parts, even producing job-specific tools when the need arose. Through the golden years of American manufacturing, and at the height of the Detroit automotive business, Belknap has been a part of the manufacturing industry. In 1971, Hank Thorn bought the Van F. Belknap Co. He immediately recognized the need to become a company that would assist assembly plants and manufacturers with not only torque wrenches, but also with the development, testing, and production of specially designed tooling. Mr. Thorn’s intuitive vision, engineering background, and vast knowledge of torque certainly was what Belknap needed, and as the market for high quality torque wrenches and specialty tooling expanded, so did Belknap. 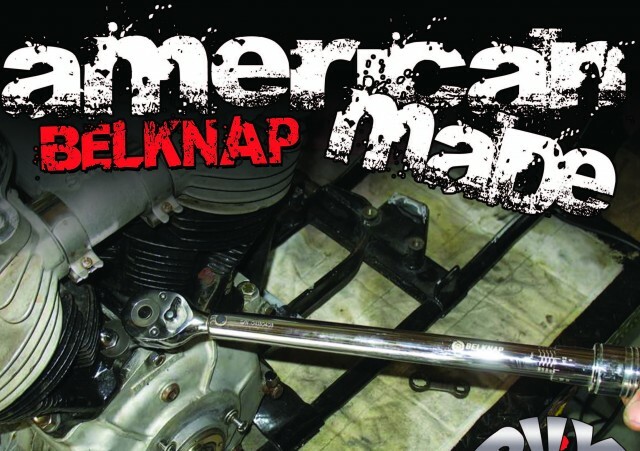 Before too long the secret was out, and the world’s biggest manufacturers, like John Deere, Harley-Davidson, Cummins Diesel, Caterpillar, Detroit Diesel, to name a few, were all calling upon Belknap for their specialized torque needs. One of the many things that make Belknap the benchmark in torque wrenches is the fact that they develop, test, and produce every single piece right here in the USA. Rarely is anything outsourced, and in those rare instances, they are positive the parts are also of American origin. From raw materials, to fasteners, to packaging, Belknap insists on US made goods. The driving force behind this policy is Hank Thorn’s hard work ethic and great customer service. Mr. Thorn knew how to expand Belknap’s customer base: Provide a high quality tool with a fast turnaround and knowledgeable customer service while using American materials and workforce. 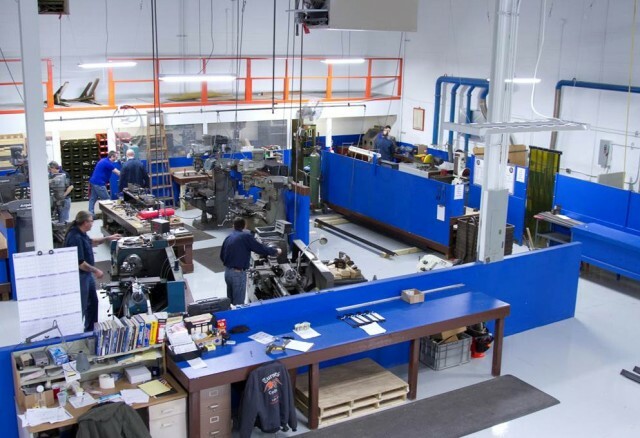 Today, Belknap focuses on specialty tool production, primarily servicing larger manufacturers that require their tools to work right 100% of the time. The common tools the company handles today are the preset torque wrenches and the interchangeable drive ends. Often, in an assembly line application, the tech may torque the same fasteners to the same exact torque spec hundreds of times in a shift. In this instance, there is no need for the traditional adjustable torque wrench. The preset torque wrenches maintain a stringent calibration tolerance and torque repeatability. The Belknap Drive Ends offer flexibility and proper engagement on the fastener. Together, these tools have become the industry standard that many have unsuccessfully tried to copy. Did I mention about Belknap’s incredibly fast turnaround and friendly knowledgeable Application Specialists? But the home mechanic or independent shop owner should not feel left out of the Belknap equation; Belknap produces many time saving, innovative tools that most any toolbox would benefit from. In addition to the many adjustable and dial indicating torque wrenches offered, there are literally hundreds of additional tools. The one category of items available that would appeal to most any gearhead is the vast line of interchangeable drive ends. At first glance, the intended purpose of these great drive ends may seem to be an extension of the preset torque wrench, but really these drive ends can be used in several different applications. They’ve got multiple solutions for you. If you do not need to get a torque reading, but you really need to work around a corner, on say a base nut while your motor is still fully assembled, Belknap offers a full line of crowfoot adapters. Seriously folks, if you have a problem with getting to a part to obtain a torque reading, or to simply loosen or tighten a fastener on your motorcycle, car, tractor, anything, Belknap has a tool for the job. And in the extremely rare case they do not, they can make one. I had the honor of speaking with Wendell Turner, one of the gifted people behind the scenes who makes so many of the custom products become a reality, and he gave me a little more insight as to what Belknap really is. He explained that while you will not find Belknap tools on the shelf in the local hardware store, there is not a job too big or too small for them to handle, and most likely they’ve already conquered the task at hand. When asked what specific industry they currently service the most, Wendell simply responded, “We hit all industries. Industry is our world.” Citing a particular example, Wendell spoke about a large manufacturing complex in Thailand that required a large number of specialty tools and torque wrenches to be in place and serviceable. Rather than finding torque wrenches and adapters from the many Asian companies that offer a low cost alternative, this client chose instead to use Belknap exclusively. Belknap even provided training for the Thai techs on how to properly use, calibrate and maintain their Belknap tools. Wendell knows that what keeps Belknap so far above the rest is the fact that their tools can withstand the test of time and rugged use, due to their dedication to using only the highest quality materials and labor. This equates to an increased life expectancy for each tool, which of course keeps the industrial clientele very happy. The hobbyist or low production user will most likely never wear out their Belknap tools, but if they do, the company will bring them in to see what the cause is. If within one year of purchase there is a defect found in material or craftsmanship, the tool will be warrantied at no cost to the buyer. You do not get this from any supplier of imported goods! Belknap also maintains a dedicated service and calibration department, so that production and service do not interfere with one another. The same goes for small run and R&D items. All projects that fall under this umbrella are completed in the Belknap facility in Michigan, which is fully devoted to keeping up with the expedited demands of industry. 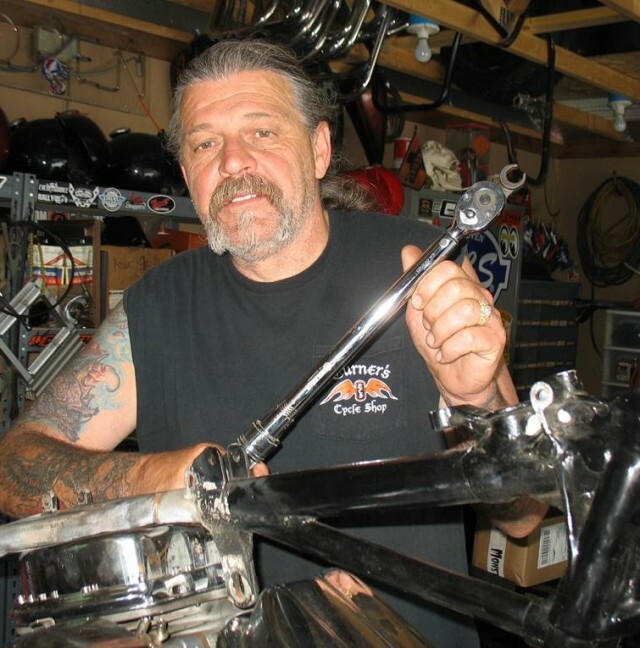 One small tool that Wendell is working on now is a Softail shock nut wrench. This product will allow the tech, or home mechanic, to adjust and torque the shock nuts on a Softail without the hassle of jacking the bike up in the air. Just another simple tool that will save you time and money, not to mention crawling around on the ground trying to find a way to rig a bunch of tools and adapters together, typically resulting in busted knuckles and rounded over fasteners. The next time you find yourself cruising the Internet, check out Belknaptools.com, and wander around their informative and impressive Website. There are tools on there you have never imagined! Check out some of their Allen head adapters, as well as the vast array of specialty tools. 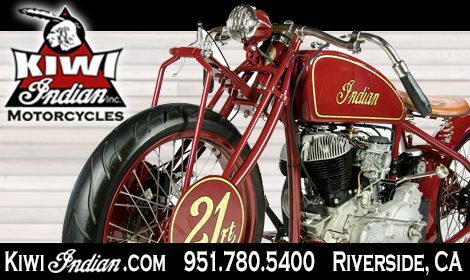 Give them a call and mention promo code “Cycle Source” and receive 10% off your first order. Look to future issues of Cycle Source for more from Belknap Tools, and Wendell Turner. We are working on some tech articles combining Wendell’s torque and tool knowledge with the mad scientist brain of Berry Wardlaw of Accurate Engineering. This should prove to be a very informative and fun series. 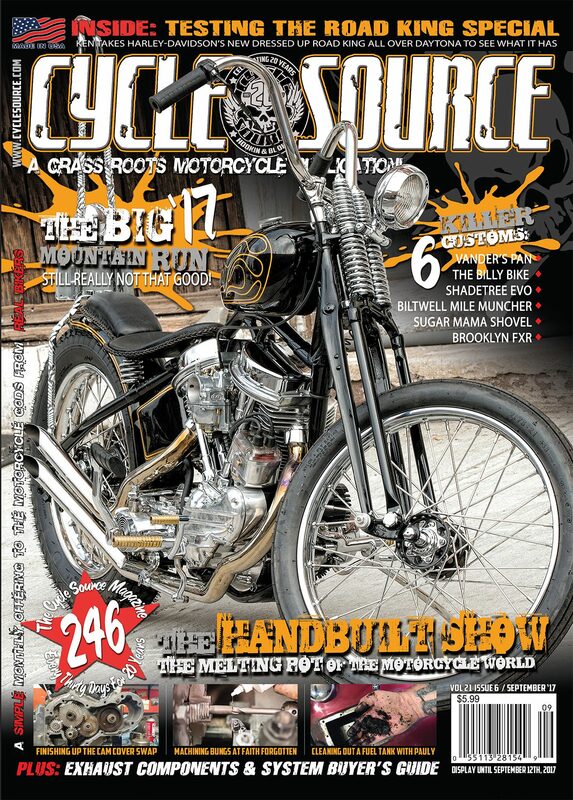 This entry was posted in Shop Hoppin' and tagged Belknap, Belknap Tools, Cycle Source, Cycle Source Magazine, Feature Story. Bookmark the permalink.